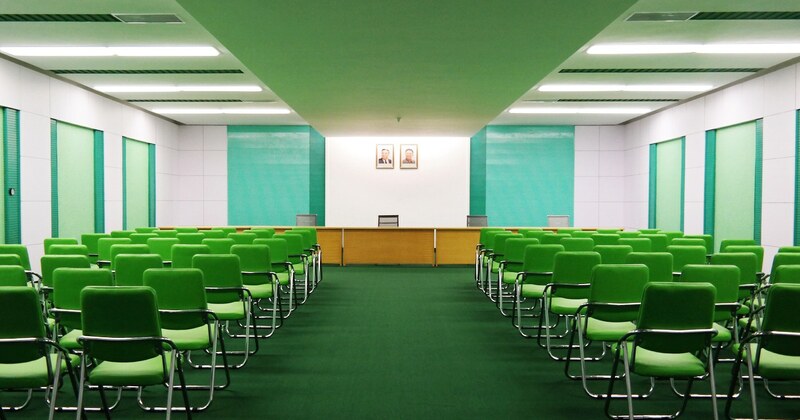 Inside North Korea collects Oliver Wainwright's gorgeous photos of the striking public aesthetic of a brutal dictatorship. Inside North Korea “My photographs are an attempt to offer a glimpse inside North Korea, revealing Pyongyang to be a place of candy-coloured apartment buildings and pastel-hued interiors — a series of precisely composed stage sets that could be straight out of a Wes Anderson movie.” - Oliver Wainwright, Guardian Architecture and Design Critic. Guardian architecture and design critic Oliver Wainwright book ‘Inside North Korea’ published by ‘Taschen’ dropped June 22, 2018. ‘Inside North Korea’ offers a glimpse into the notoriously secretive nation. The 200 photos in the book (which are available to purchase) document the strange and colourful architecture of the country and its capital Pyongyang. Completely rebuilt after the end of the Korean War in 1953, the city is the grand vision of the country's first leader, Kim Il Sung, and contains many intriguing buildings. Paired with insightful captions the 200 photographs illustrate the scenes that exist behind the country’s grand stone façades. Starting with a documentation of Pyongyang and its housing, the book highlights North Korea’s gargantuan monuments, its sporting and cultural venues and its grandiose metro network. Throughout, lavish wonder-worlds of marble and mosaic exist alongside interiors with dazzling colour palettes. The book also includes an introductory essay by Wainwright as he charts the history and development of Pyongyang. The essay explains how the architecture and interiors embody the nation’s political ideology and question what the future holds for the architectural ambitions of the enigmatic country. This blog post by the publisher is also worth a read for those interested.